If you are looking forward to a higher education abroad, there are two admission seasons you need to be aware of – they are Spring and Fall. With the spring 2017 admission season fast approaching, we will be looking at a few of the popular branches and top universities that offer those courses for the Spring admission season. a) Less competition: Some universities receive more applications in the Fall than in the Spring. So by applying for Spring, you are competing with fewer students for getting admits. This can substantially increase your chances of getting admits to Top universities. If you’re keen on pursuing Fall admissions, this can also serve as a fallback option if your Spring admission doesn’t pan out well. b) Availability of courses and classes: Some universities offer prerequisite or preliminary courses during all semesters, while others offer certain courses only during Fall season. So chances are if you apply for Spring you might have to take up certain extra classes for covering up on the basics before moving on to the major subjects. By the end of the first semester, most of the students offset this lag. It’s better to keep in touch with the faculty members and students or alumni of your preferred university, to know more about these scenarios. c) Scholarships and financial assistance: Financial assistance in the form of scholarships and fellowships vary according to the season and also depends upon the university you’re applying to. 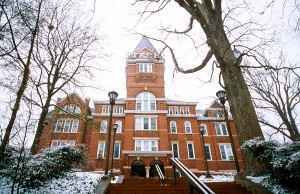 Some universities maintain the same amount of stipend across both the seasons, while others may restrict the funding to one admission season. Keep that in mind before deciding upon an admission season. Do a background check on the financial assistance criteria of the respective university. Discuss with the agencies offering scholarships and understand if they provide funds for Spring admits also. Some universities roll out their deadlines as early as June and July. So, this is the perfect time to review them based on your preferred specialization. We present a mix of top private and public universities, offering the most sought after courses for the spring 2017 admission seasons. Get ready for a detailed review of universities. Sit back, relax and keep a pen and paper at your side, you would need to take notes! 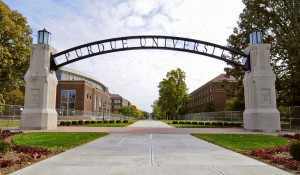 This flagship university of the purdue university systems offers the finest education when it comes to Computer Science. With specializations like Bioinformatics and Computational Biology, Databases, Data Mining, Networking and Operating Systems and, Programming Languages and Compilers, purdue is one of the most sought after institutions for CS worldwide. This private university seated in LA ranks at number 10 among universities providing computer science courses. 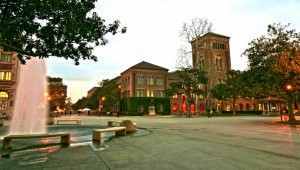 Providing a deep understanding of the fundamental concepts as well as current issues in computer science and engineering, USC draws huge number of post graduate students every year. With a motto of Universitas Cornelliana (“I would found an institution where any person can find instruction in any study”-Ezra Cornell), this private Ivy League University is living up to it’s promise by providing one of the best computer science curriculum across the world. Ranking at 13, Cornell provides state of the art R&D opportunities in the field of Artificial Intelligence, Computational Biology, Computer Architecture & VLSI, Database Systems, Human Interaction, Robotics, Security and, Systems and Networking. This flagship institution of the University System of Maryland is known for drawing heavy research funds as high as $500 million from the likes of NASA and Department of Homeland Security. It currently ranks at 23 in our list of universities offering courses in computer science. 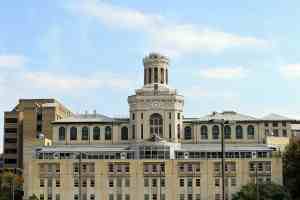 The merger between Carnegie Institute of Technology and Mellon Institute of Industrial Research, this private research university is ranked at 4 in a list of universities providing Electrical Engineering courses. Boasting of an alumni body comprising of numerous Academy Award winners, Turing Award winners and, Tony and Emmy Award winners CMU offers top notch courses in the following areas: Device Sciences and Nano-fabrication, Signals and Systems, Circuits, Computer Hardware and Software. With an university rank of 6, this public university situated in Indiana offers courses in the following specializations: Automatic Control, Bio-medical Imaging and Sensing, Communications, Networking, Signal & Image Processing,Power and Energy Systems, Fields and Optics, Microelectronics and Nanotechnology, VLSI and Circuit Design. Coming in at number 10, this private research university prides itself on the Ming Hsieh Department of Electrical Engineering known for research in innovative areas eg. bio-signal processing, high speed switching architectures, nanotechnology and quantum information processing. This private Ivy League university is the oldest one in the state of New York. 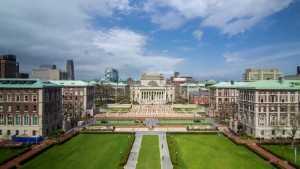 With a ranking of 14, Columbia offers the finest education when it comes to electrical engineering. The alumni body boasts of numerous Nobel Prize winners and Academy Award winners among other celebrated academicians and politicians. With strong R&D facilities in specializations like Computer Architecture and Systems, Bioelectronics Engineering, Communications and Digital Signal Processing, Nanoelectronics and Photonics, Networking, Power Electronics & Power Systems and, Analog, RF & Mixed Mode Technologies, this public research university comes in at number 28. With R&D facilities ranging from Advanced Manufacturing and Bio-engineering to Energy, Robotics and Product Design, this private research university comes at number 5 among universities offering Mechanical Engineering courses. The George W. Woodruff School of Mechanical Engineering, the oldest department in the College of Engineering at the Georgia Institute of Technology offers specializations in Mechanical Engineering, Nuclear Engineering, Medical Physics, Paper Science & Engineering and Bioengineering. Georgia Tech ranks at number 7. 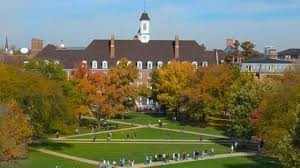 With R&D institutions such as the Beckman Institute for Advanced Science and Technology, the National Center for Supercomputing Applications and, the Frederick Seitz Materials Research Laboratory, UIUC ranks at number 7 in our list, tie in with Georgia Tech for universities offering Mechanical Engineering courses. 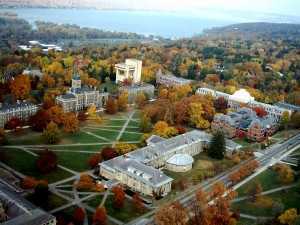 Cornell’s Sibley school of mechanical engineering and aerospace is home to numerous R&D works, from interdisciplinary projects like Dynamics, Systems, and Control to investigate problems related to space exploration and spacecraft subsystem engineering. This private Ivy League University sits at number 12 on our list of universities offering Mechanical Engineering courses. Excelling in research areas like Construction Management, Infrastructure, Transportation Engineering and Structural Engineering, this public university ranks 2nd on our list of universities offering Civil engineering courses. Purdue’s Lyles School of Civil Engineering specializes in geomatics, environmental, hydraulics and hydrology, structure and transport. 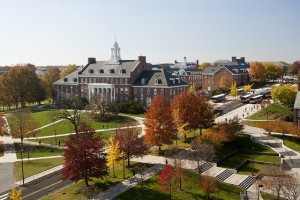 This flagship university of the purdue university systems ranking 6th on our list draws a lot of post graduate students every year. With state of the art R&D facilities in the field of Environmental and Water Resources and Engineering Structural Engineering and Materials, this 8th ranked public university offers one of the best civil engineering courses around the world. Excellent R&D opportunities galore viz. 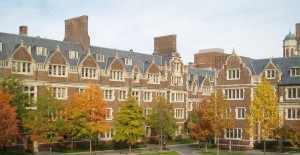 Civil Infrastructure, Geotechnical Engineering, Structural Engineering, Environmental and Water Resources Systems, Environmental Fluid Mechanics and Hydrology, Environmental Processes, Environmental and Water Resources Systems, Remote Sensing, Transportation Systems Engineering, this private Ivy league university ranks at number 10. Research at Civil and Environmental Engineering department of CMU is top notch with the inclusion of Advanced Infrastructure Systems, Environmental Engineering and Sustainability and Science. This private research university takes the 11th place on the list of universities offering Civil engineering, Mechanics, Materials and Computing courses. With research emphasis on database systems, human computer interaction, knowledge management, intelligent systems, e-commerce, information goods and bundling & pricing, Purdue’s MIS course ranks at 9th. This private Ivy League Research University ranks at 19 among universities offering MS in MIS. Home to Wharton School of Business, the first collegiate business school, Upenn offers an innovative experience to students taking up MIS. Ranked at 25, Penn State offers one of the best MIS courses by merging the highly technical content of information systems with the managerial skills required. Graduates are free to choose between Information Systems in Healthcare Management and Delivery, or Information Systems in the Life Sciences. 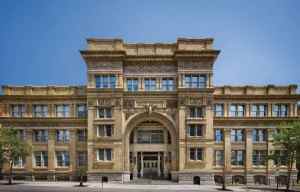 Drexel University ranking at 62, offers students the opportunity to gain experience within the field through a practicum(similar to internship but isn’t a part of the curriculum). The courses on MIS integrate the business and organizational aspect with technicalities to provide a clear understanding of systems engineering and human-computer interaction. 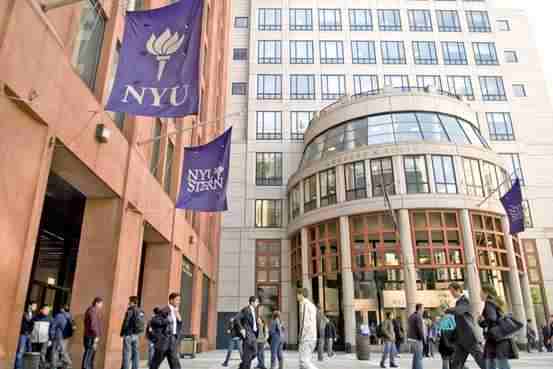 MIS course from NYU offers a unique and well balanced mix of business leadership and deep understanding of information systems. This 46th ranked private university seated in New York provides students to choose one of these four: Database technologies, Enterprise risk management, Strategy and leadership, Systems management. Now that you have got an idea about how to shortlist universities based on the department and overall ranking, the acceptance rate and GRE/TOEFL score required, you are ready for Spring 2017 admission season. Always remember to conduct a detailed background check on universities offering the course of your choice. Top universities in UK 2019 : Study in UK Now! Suggest me universities for this profile. If you are looking for any other streams, please comment and let me know. And i also have 2 years of experience in IT Industry. If you planning on pursuing MIS in the US, then you can consider The University of Texas, Arlington, the University of South Florida or The Syracuse University. However, the last two universities insist on a 310 score, so it is a little bit of a stretch. You can still apply and get in if you have a convincing SOP that explains your reason for choosing that university clearly. If you want tips on how to write a winning SOP, click here. Suggest me safe,moderate and ambitious universities for this profile. If you write a very good SOP, then you can also aim for University of Florida (Ambitious) because you have a score above 315. A safe university to consider could be University of Arlington. Good Luck with your admission process! Your admission requirements may require some in-depth profile evaluation by our admission SFAs. I will direct your question to them and they will be able to provide you with an accurate answer. Meanwhile, you can join our MS Dreams Facebook group if you have any further queries regarding Masters and beyond. See you there, Good Luck! Looking for universities in computer engineering for Spring 2017 intake. Please suggest me safe ,moderate and ambitious universities for this profile. If you are planning on pursuing MS in CS for universities in the US, you can consider Univerity of Texas, Dallas (safe); Arizona State University (moderate); Ohio State University (ambitious). Computer Engineering is a niche field and hence, slightly complicated to suggest universities. You can get answers for your question from this Facebook group called MS Dreams, where our in-house experts answer queries regarding university shortlisting, admissions, SOP, LORs and more. You will receive answers to your question within 24 hours maximum. Since you’ve asked for information regarding multiple streams for Sping ’17 intake, I would like to direct you to our facebook group called MS Dreams. where our admission experts can suggest best universities for your profile. The deadlines end by October, so you need to draft a good admission application as soon as possible. You can post your queries and they will be answered within 24 hours. Financial Engineering is an interesting choice and a pretty uncommon one at that. We will require more details regarding your academic profile to suggest safe, moderate and ambitious universities for you. You can consult our admission SFAs on our facebook group – MS Dreams. You will receive answers to all your queries from university shortlisting to VISA interviews within 24 hours. Have done 4 projects in btech + 1 paper presented in final year. PLEASE SUGGEST ME SAFE, GOOD AND CHEAP UNIVERSITIES FOR MS in MIS / MS in Business Analytics. Already applied to UTA, UTD, UNCC, UNO , UIS. Waiting for your reply and I hope Universities will be worth. You have a very interesting profile. Even though your GRE score is slightly on the lower scale for courses such as MIS, you have a strong academic profile with project work and paper publications. It may be tricky to suggest safe universities right off the bat because your profile requires some deliberation. I would refer to you our admission experts on our Facebook group called MS Dreams. You ca post your question along with which admission season you are targeting so that we can reply back to you with appropriate information. Work Experience: 2 years as Software Engineer at Infosys. I’m looking for fall intake…. I hope this helps! For more admission related advice, join our Facebook Group – MS Dreams! 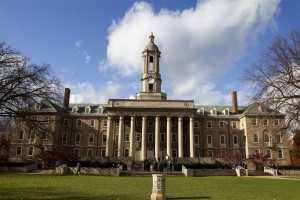 I researched University of Pennsylvania and Pennsylvania State University are not open for Spring 2017 admissions. Is it true ? For both universities, the deadlines for Sping ’17 admissions depends on what Master’s Program you are planning to pursue. However, the deadlines might not be over yet and you may still have time to apply. You can reply back with your profile details and intended course of study in our Facebook group called MS Dreams. Our Admission SFAs will suggest good universities for your profile and also the deadlines for your course. Suggest me some good universities for spring intake for MS in mechancial engineering? What are the chances of me getting into Purdue university or Penn State, if i have already applied for spring 2017? It would be inaccurate to predict the chances of you admission into Purdue/Penn State because I am not aware of your entire admission profile as a whole such as work experience, projects, internships etc. But 319 is a good GRE score, so you must focus on other aspects of your application such as writing a convincing SOP and LORs. Some universities you can look for are: Texas A & M University – College Station; University of Wisconsin, Madison; apart from Purdue and Penn State. For more in-depth expert answers, please post your queries on our facebook group : MS Dreams. B.tech Computer Engineering-72.9% with honors. I’m looking for Spring, 2017 intake…. University of Texas, Arlington (Safe); University of South Florida (Moderate) and University of Texas, Dallas (Ambitious). For MIS, however, you have a lower GRE score but relevant work experience. So you can post your questions to our admission SFAs on Facebook at MS Dreams and get your queries cleared! We respond within 24 hours. Suggest me safe,moderate and ambitious universities for my profile. Since your GRE score is between 300 – 310, I would normally suggest these universities for you to consider for MS in CS : University of Texas, Arlington (Safe); University of South Florida (Moderate) and University of Texas, Dallas (Ambitious). However, since your profile requires more detailed analysis because of your academic profile and your work experience, I would suggest you post your admission query to our admission SFA for guidance regarding MIS on MS Dreams. You will receive replies within 24 hours. I hope this helps! Engineering in IT : 60.24% (2015 graduate batch) Mumbai university. 13 months of work experience as trainee data analyst. Looking for MIS in spring 2017. I have already applied to Stevens, California state univ. fullerton, Rutgers business school, IIT Chicago, UT arlington, NJIT, Depaul university. Can you suggest me which amongst them are safe for my profile ? How is Depaul university according to job and reputation prospects ? Also Please suggest me some more safe and moderate universities that I should apply for spring 2017. Looking for universities for MS in MIS for SPRING 2017 intake. Suggest me safe,moderate and ambitious universities for my profile other than UTD, UTA. While a lot of Spring ’17 deadlines are coming to a close, you may still be able to apply to some universities yet. If you want to talk to a student counselor regarding how GREedge can help with your admissions further, then drop us a mail at info@greedge.com. We’d be happy to give you a call to discuss your admission process! MS in Astrophysics is quite a niche field. Suggesting universities for your profile will require a more in-depth analysis of your academic history including research experience, relevant projects etc. There are some top universities that undertake extensive research in USA, Switzerland, Germany etc. You can give us a call or drop in your details here : http://goo.gl/Fbx1Pp and we’ll give you a call to discuss your profile, your aspirations and how we can help you too! I’m assuming you are looking for Fall ’17 admissions because Spring deadlines are almost up. I need to understand your profile more thoroughly to help you find the best universities that suit your requirements as well. A work experience of 5 years as a Technical Business Analyst will ensure you stand out from the crowd. But, I will need to know more information like which university you passed out of, the Topper’s GPA etc. If you are interested, we can give you a call to discuss how you can make the best use of your profile to realize your dreams. You have a good GRE score as well as a strong work experience in Microsoft. You can actually target universities slightly above your GRE score bracket but for that we will have to look into your profile in detail, including the projects you may have undertaken and your aspirations. While Spring deadlines for most reputed universities are coming to a close soon, you are right the time to start your application process for Fall ’17 deadlines. If you are interested in talking to an admission counselor, you can drop in your name, email ID and phone number here: http://goo.gl/Fbx1Pp . We will get in touch with you shortly to understand your requirements and how we can help. Suggest me the safe, moderate & ambitious Universities for Computer Science. You have a strong CGPA and a good GRE score. You are also at the right time to start your application processes for Fall ’17 as university deadlines are coming soon. For Master’s in Computer Science, you can consider applying to Arizona State University (Ambitious); SUNY, Buffalo (Moderate) and Illinois Institute of Technology (Safe). We will give you a call to understand your requirements and find the best solution to help you. My GRE score is 311( Q-160, V-151, AWA-4) and TOEFL score is 110. My graduate % is around 75%. I have one year work experience at Infosys as Systems Engineer. Summer internships at Oracle and HP. Have good SOP and LORs. Please suggest me universities in the US for MS in Computer Science. You have a strong admission profile with good work experience. Generally, for a 311 score, I would suggest SUNY, Buffalo as Moderate, but you can consider Arizona State University; University of Houston, Cullen (Both Ambitious) along with some safe options such as University of Texas, Arlington. IF you require further assistance, you can drop your details here and our admission counselors will give you a call to discuss your requirements. Since your GRE score and your GPA are slightly lower than the requirements, it is a little tricky to suggest universities without fully understanding the nuances of your academic profile. if you have any research background or internships relevant to the course you want to pursue, then that will be a major factor in your admit success. Please drop in your details here: http://goo.gl/Fbx1Pp and we’ll give you a call to discuss how best we can help you proceed further. CGPA 7.5. 1 backlog cleared. For a good GRE score of 312, you can target Top 20-50 universities for MIS. But, unfortunately, most of these universities have closed their application deadlines for Srping 2017. If you are interested in Fall 17 admissions, you can consider University of Florida (Ambitious); University of Texas, Dallas (Moderate) and Illinois Institute of Technology (Safe). For more assistance with university shortlisting, help with drafting SOP and mock visa interviews, you can drop in your details here : http://goo.gl/Fbx1Pp and we’ll give you a call to discuss how we can help fulfill your admission aspirations. Pretty great post. I just stumbled upon your weblog and wished to mention that I have truly enjoyed surfing around your weblog posts. In any case I will be subscribing in your feed and I’m hoping you write again soon! Teaching classical dance to under privileged Kids at NGO (from past 14 months). Congratulations on having such a well-rounded profile! Are you looking to pursue MS in molecular biology in the US? If so, for your GRE score, you can consider Drexel University or Northeastern University (both Moderate). If you are looking for more in-depth expert guidance at every step of your admission process, right in time for Fall ’17 deadlines, you can drop in your details here : http://goo.gl/Fbx1Pp and talk to a student counselor. My graduate % is around 85%. I have 4.5 year work experience at Infosys as Senior Systems Engineer. Since your GRE score is quite lower than the expected average for most universities (i.e above 300), our admission experts feel that they need more specific information to help you narrow down universities. You can share some more details such as your UG university, year of passing out, Topper’s CGPA etc. My suggestion is that if you are targeting Fall 2017 admissions, you should seriously consider taking GRE again. You can surely get more admits at top universities with a higher GRE score, especially because you have a strong 4.5 yrs of work experience in a relevant field. If you are interested. you can shoot a mail to student.welfare@greedge.com and we’d be happy to help you out! I completed my mca in 2010 i have 6 year experiance as university lecture. can i apply for ms in computer science usa again? Thanks for writing to us. You can surely apply for MS in Computer Science now, right in time for Fall ’17 deadlines. However, that depends on when you took your GRE. Your GRE scores are only valid for 5 years. So, if you have taken it before 2011, you might have to retake GRE. If you need further assistance regarding GRE preparation or Admission Counseling, please feel free to drop in a mail to info@greedge.com along with your Name and Phone Number. I will ensure a student counselor gets in touch with you at the earliest! i want to know more about MS becoz i already completed MCA in india in 2010 then after i working as university lecturer is that possible again i will take admission in US. and how much chance for visa? 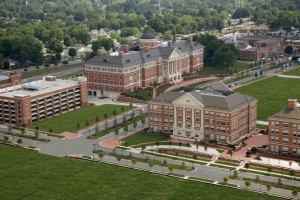 I want to opt for International Finance (4106) in U.S.
Good SOP and LOR and decent CGPA. Please do suggest possible universities. Also by what latest can i take TOEFL if i’m planning to join in Fall 2017. We’ll update you by email and you can participate too! I have got a acceptance from UAB,birmingham,USA. for spring 2017. I know that this univ. is very good for medical and dental related courses but don’t know how is the university for mechanical engg. please suggest. Work experience : 7 years. could you please suggest me some universities which suits my profile. We are launching a profile evaluation activity soon where you will receive an expert analysis for your profile and a list of 5 universities that are most suitable for you. It will also be categorized based on your admit chances. A publication and one international conference presentation(one project). MS in pharmacology is quite a niche field. Since you are also aiming for Spring 17 admissions, I would like to direct you to our Facebook group where you can interact with our admission experts one-on-one and get a list of target universities. If you have any other queries regarding your SOP, VISA interview etc, please feel free to post a question. Our experts will get back to you within one working day. I am looking for MS in US , having GRE – 303, Tofel – 96, BE – ECE – 79 %, having 2 years work experience in Infosys, looking for admission in Spring 2017 or fall 2017. Like to join in Best university is US. Pl suggest me suitable university, process details asap. Thanks for your comment. But I’m afraid the Spring ’17 admission deadlines have come to an end. The good news is that you can still apply for Fall ’17 admissions, but only if you start right away. I would love to suggest universities for you but I would need the course you plan to apply for. If you are looking for expert assistance to plan your admission process, right from shortlisting right universities, SOP guidance, LOR all the way till mock VISA interviews, you can fill in your details here : http://goo.gl/Fbx1Pp. I will ensure an admission counselor gets in touch with you shortly to discuss how GREedge can help you. I am interested in pursuing MIS in the US( mainly in California if not Chicago or Maryland or new York) and I am applying for fall 2017. I’ve dealt with the LOR’S and SOP . I need the university list only. We will need to look into other aspects of your profile such as work experience, internships or any other extra-curricular activities you may have to suggest universities. For MIS, the number of applicants are quite high, making it quite a competitive course. So ideally, we suggest you have a 300+ in GRE to target universities, especially those in Chicago like University of Illinois or UT Arlington in Texas. For further assistance from our admission experts, you can post your profile details on our Facebook group where you can interact with other MS aspirants like yourself. Also, I have 2 years of experience as software engineer. Please suggest me universities for Computer Science. Also I am confused whether to apply for Fall 2017 or Spring 2018. For your profile, you can look at universities such as University of Texas, Arlington; George Mason University; Illinois Institute of Technology, New Jersey Institute of Technology etc. Also I have 3.2 yrs work experience and now I am working in Infosys as a senior systems engineer… could you please suggest me universities which suitable to my profile. I would be very happy to suggest universities for your profile. Even though your GRE score is on the lower side, a strong work experience MAY compensate for it, IF you target the right universities. It would be more accurate to suggest universities once I know which course you are looking for. 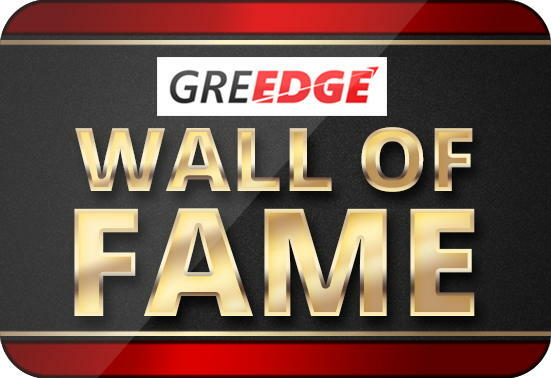 Write back to us at info@greedge.com or post your question on our official Facebook group – MS Dreams. Looking forward to hearing from you, Anusha! I am a Dotnet developer so I want to take CS course. Could you please suggest me. For MS in CS, you can look at University of Texas, Arlington (Ambitious) and George Mason University (Highly Ambitious). Since you have a strong work experience, you can actually target better admits if you have a higher GRE score. Even improving your score by 10 points would make a sea of change in the universities you can target. Consider retaking GRE and applying for Fall ’17. You still have time. Can I get admissions from good universities based on IELTS score? TOEFL/IELTS scores are only indicative of your English proficiency. As long as you are above the minimum requirement, your TOEFL/IELTS score has no definite impact in swaying your admissions. However, if you are interested in applying for RA/TA, then your individual subset scores are considered. Toefl – done,results will be uploaded soon. Also, I have 2+ years of work experience with Infosys. Please suggest me universities for Computer Science. You have quite a strong profile. To give you an accurate classification, let me consult my admissions team and get back to you with an answer soon. Have you already started applying to these universities? A GRE score lesser than 300 while applying to universities , especially for CS is a point of concern. However, you MAY be able to redeem this if you shortlist the right universities and draft a proper SOP for each of them. For your profile, I would advise you to consider University of Texas, Arlington, San Jose State University or University of Texas, Dallas. Ensure that you emphasize your research projects and your learnings from them very clearly. Connecting that to achieving your long-term goals and what the university can do for you – together can make a very compelling case for you. I would like to know which universities in usa, uk and australia have spring intake for Masters in Architecture. Hi,I want to know which universities in USA have spring intake for masters in data analysis. Thanks for commenting, but I would need to know your GRE score, your GPA and a little bit about your work/research experience to accurately suggest universities for you. However, specifically speaking, some universities with a Spring intake for Data Analysis is George Mason University. For MIS, however, you can look at many options such as NJIT, UTD etc. Which are the universities which offer MS program in Spring in Supply chain management branch. Could you please suggest some top universities for MS in supply chain management which will be open for Spring 18 admission. I would love to suggest some universities. However, to ensure that they are the most suitable ones for your profile, I would need some additional details like your GRE score, your TOEFL score, work experience if you have any and your GPA. This information will help me provide more targeted universities for you. If you’re only just exploring, some of the best universities for MS in Supply Chain Management are MIT, Michigan State University, Arizona State University etc. I didn’t write my GRE and TOEFL yet but expecting around 315 in GRE. I got 82% In my b.tech and I was the in the topper list in my college. Now I’m working as a software developer since last 2 years in TCS on a data analytics project.I want to pursue MS in data analytics /data science/machine learning. It will be very helpful for me if you can help in choosing Univ. If some Univ can give financial assistance ship that would be very easy for me to pursue MS. I will apply for spring 2018 or fall 2018. Selecting universities depends primarily on your profile – like your GRE score, UG GPA, your projects/research/work experience etc. Since you haven’t written your GRE or TOEFL yet, I would advise you to first focus on preapring well and achieving a great GRE score, something like 320+! That way you can target Top 25 universities for data sciences, especially with your work experience. Since you’re a working professional, it is possible that you may be pressed for time to prepare for GRE. Don’t worry, our experts can help you with that. If you’re interested in getting assistance, schedule a call here and we’d be happy to help you out! Undergrad CGPA : 8.2/10 in instrumentation technology. Work exp : 4.5 years ( 3.5 years at oracle and 1 year at wells fargo ) as s/w developer . university of California Davis . Also please suggest some universities for spring 2018.
looking forward for MS in Embedded system/ Robotics/Digital signal processing. can u suggest good colleges for Fall 2017/ Spring 2018.
what is the chance of getting scholarship. Hi my btech cgpa is 9.16 , X 94.2%, Xii 89.5% . Projects 4 but 1 major project is relevant to the field I want to apply for. What are my chances of getting an admit from TAMU for fall 2018 for MS EE if I have a great score of around 320 and a year work experience in CTS? please suggest some universities in US for upcoming spring semester. i will give SAT and IELTS probably by may end..
so pls suggest me some god universities. universities should rank btw 50-150 in world. My CGPA IN 6 SEMISTERS IS 8/10. I WANT TO APPLY FOR SPRING 18. I WANT TO DO MS in Civil Engineering(Structures). Please suggest 5-6 universities for spring 18. I would like to pursue PHd in Embedded Systems / Robotics.. starting with Spring 2018. Following is my profile. Request you to please suggest appropriate universities. Additionally, since ny GRE Score is just 305, I m planning to retake GRE. Also please let me know if u have any Office in Pune….. wherein I can Hve F2F discussion. – 1 paper presentation on Robotics. I am going to write my GRE exam on march 24,2017. I have a 8.8 CGPA in B.Tech (ECE). Can you give me the names of few collegees for spring ’18 admisssion specialised in VLSI or Comminication in ECE that I should aim for since I have to list them out on my exam day. Hi, thanks for the information abou the top colleges in the respective fields. I’ve scored 321 in GRE, 90 in TOFEL is their any chance for me to ge into top universities for MIS? can you give me some good colleges for spring 2018 admissions? I’d like to pursue master in astrophysics for spring ’18. Any suggestion? I would let to know the options i have to do my Masters in US from you. Please give me your opinion on the easy, moderate and ambitious univ list. Could you please suggest me the univ?? Sorry but i missed to enter the field of interest i am planning to apply for the spring 2018 intake. for courses related to automotive or industrial engineering. Even though your GRE score is on the lower side, having 4.5 years of work experience definitely puts things in your favour! 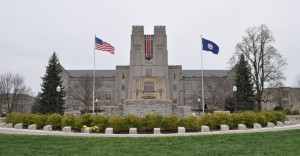 Do research about these universities and see if you can your field of interest. Also, check the admission requirements thoroughly! If you’re looking for any assistance in applying to these universities, you can schedule a call with our expert here! Thanks for sharing your profile with us! However, the number of universities available for Spring 2018 with PhD funding are limited. So, we’ll have to look at private universities. my research experience are in low power VLSI Design. I also have 5 papers under my belt in international conferences and journals, but none of them is in IEEE. I have completed BE(electronics) from Mumbai, with GPA 6.42, GRE-314, TOFEL-92. I want to do MS(ECE) in spring 2018, please let me know the university where I am get the admission. Can you guys help me in suggesting colleges for Spring intake 2018 in MEM? Having 2 years work experience in Oil and Gas Industry as an Electrical Design Engineer. I am looking for MS or MBA in Business Analytics for Spring 2018. Can you please suggest some universities? I have been working in Accenture for 2 years in SAP ABAP domain. I have 2.5 years of experience in TCS as a software developer. Please suggest some Ambi, Mod, Safe University for my profile as I’m looking for MS in CS and I have UG from ECE. what are the best universities for M.S in Foood sciences ?????????????? Kindly suggest universities other than UTD, Arlington and Syracuse. I wish to take biomedical engineering for my undergraduate degree. I have SAT of 1340(M:720 ,ERW:620), TOEFL : 101 and my unweighted gpa is 4.0. Could you list some universities for me that could provide me with full scholarships? hi I am looking for ms in automobile engineering please suggest top university for it.. Please suggest a suitable university for PhD in CS (specialising – Computer Networks/ Computer Security/ Wireless Network ) with funding. 10 months experience and still working on..
sports secretary for 2 years…. Suggest me safe moderate and ambitious universities. Looking for universities for SPRING 2018 intake for ms in cs. Hello I am Avinash, planing to do PhD in Medicinal chemistry / Drug discovery and development/ Organic chemistry . I am looking for this spring admission 2018, can you please suggest me some good universities that I can apply according to my qualification. Hello, This is Pratik. I will join the queue and ask my doubt too. I have a GRE score of 330(Q-166, V-164), IELTS score of 8 and GPA of 9.1. I want to do MS in Aerospace. I was trying to identify universities I should apply to. Can you help me? I have already sent my application to Texas A&M. Under what category should I list it? I’m looking for Masters in Cyber Security in US. Profile: GRE Score: 308, TOEFL: TBD, Undergraduate CGPA: 8.64/10, Currently working with Deloitte US-India under the Service line of Cyber security (I joined the firm in July, 2016 and recently got promoted to the next level) and I’ve done my Internship at Hewlett Packard. If possible, could you please suggest some universities? Please help select a few courses. Kindly provide me with a profile evaluation for schools in the US i can apply to. could you please evaluate my profile and recommend universities ? Major Project at IIT Bombay. 1 Internship at RCI, DRDO. In all 4 internships. 1 Semester Abroad Program at MIT for 5th Sem and Scored 4.7/5 over there. Btech :61 % (MECHNICAL) passed out 2014. I have applied for fall 2015 and i got visa for CSU LA Fall 2015 MS in Mechanical engineering. but i did not went because I lost my grandpa. For which course should I do MS in usa and I want to go to california only, wt r u my options. Can i get visa again. Please help me CONS and PROS for me. Please help me evaluate my profile – GRE Score 310 (Q: 163, V: 147) – Official score awaiting. Planning to take TOEFL in Sept End. I planning for Fall’18 for MS/Phd in Computer Science/Data Analytics/ Data Science/MIS. Currently working in Oracle for more than 3 yrs now (worked on more than 6 projects and led 3 of them as dev lead). 6 months of internship as s/w developer intern in Nutanix (cloud based startup) – worked on a stand alone data recovery project on Microsoft Azure Cloud. Work appreciation certificate for yr’2015. Best B.Tech. Final yr project, Silver medalist for B.Tech. 3rd and 4th yr. Top scorer with Silver medal for 95% mark in C Programming 1st yr.
1 paper published in a National conference. Have worked on various projects during academic- Algorithmic analysis for switching networks by improving time/space complexity, Static security analyzer for SNMP networks, Compilation and architecture study of multi-core processors and a few more. Please suggest me good universities based on my profile. It would be great if someone from the admissions counseling could get in touch with me. Hi, I found this website to be pretty friendly. I could really use your help. Kindly Suggest Safe, Moderate and Ambitious Universities. Looking for universities in computer engineering for Spring 2018 intake. Want to Pursue MS in Industrial Engineering. hey! anything on energy engineering/renewable engineering/sustainable engineering? If I want to apply for Fall 20 then I have to submit my academic transcript by 2019 end. But my b.tech course ends in 20520. So how will they evaluate my overall cgpa and academic performance? Want to pursue Biotechnology masters from Europe or USA from some average university. Can you please suggest in safe , moderate and ambitious universities. Please suggest Ambitious / Moderate / Safe Universities for this profile. Looking for good universities . I am here to let the universal know the goodness of Miles Dugan in my business life, he was the only one who could helped me out by offering me a business loan when my business was almost falling apart even my bank decline my request so i decided to go online where i found this genius service by Mr. Miles Dugan and i thank God everything worked out successfully and also helped some of my friends in business also and their service was very wonderful. Miles Dugan lend money to borrowers nationwide and a few other countries overseas and also offer all kinds of legitimate loans such as real estate loans, business loans, personal loans, debt consolidation loans etc at an affordable interest rate of 3% with no prepayment penalty. If you have any deal that needs funding, if there is, then do not hesitate to contact with more details so you can discuss and arrange on how to get your deal funded. Hi, I am planning to go for MS in the 2018 spring intake, can you let me know these universities application deadlines for scholarships. can someone please suggest Universities on level of safe, moderate and ambitious for below profile targeting spring 2019 for masters in computer science. 1 year of job experience in relevant field . good extra curricular background . no research papers. descent LORs and strong SOP. If you’re looking to apply for Fall 2018, I’m afraid most of the deadlines close by Jan-Feb. However, you can still apply for Spring 2019. Though you’ve mentioned most of the details about your profile, I’m still not sure about which course you want to apply to. So, if you can reply with your dream course in mind, I’d be happy to suggest some Ambitious, Achievable & Safe universities according to your profile. You can also schedule a call with our admission experts and get 1-on-1 counselling for the same. What are my chances of getting into umcp for telecomm ? Key Requirements: Tution Fee(moderate), Location (not too expensive), Availability of scholarship and Part Time jobs. Can you please suggest top 6-7 universities I can look for for my requirements? US or Canada : What’s better for me?